On St George’s Day, the morning of the Flintock Fair, Johnny “Rooster” Byron, local hell-raiser, teller of tall tales and modern day Pied Piper, is a wanted man. The council officials want to serve him an eviction notice on his caravan, his kid wants his dad to take him to the fair, Troy Whitworth wants to give him a serious kicking and a motley crew of mates wants his ample supply of drugs and alcohol. 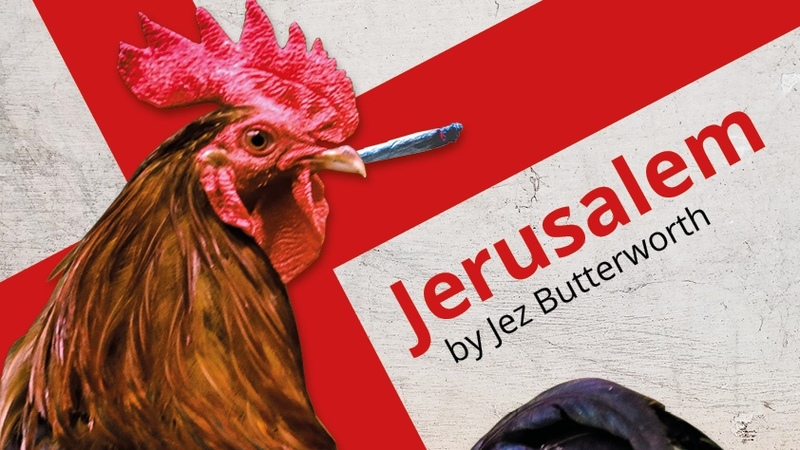 Jez Butterworth’s infamous and award-winning play is a comic, contemporary masterpiece of life in our green and pleasant land. "This is a richly passionate production, both funny and tragic. Don’t miss it!" 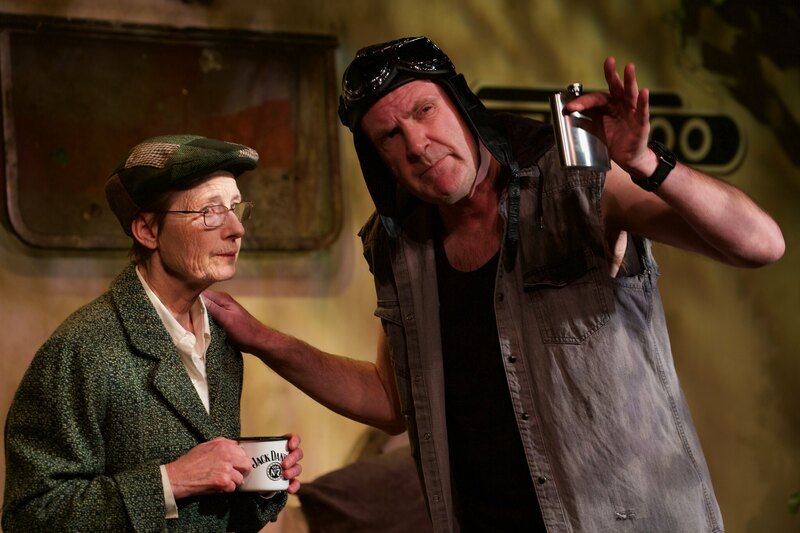 "Progress Theatre rose to the challenge and have brought us a formidable production. I’ve already booked to see it again." ★★★★★ ! Jerusalem includes strong language and scenes of illegal drug use (marijuana, amphetamines, cocaine) so parental discretion may be required for under-16s. The play is studied in schools and is on the AS/A level syllabus for some boards, for both Drama and English Language and Literature. Please note that performances of Jerusalem start at 7.30pm (not the usual start time of 7.45pm), with doors opening at 7.00pm. Performances finish around 10.40pm. Thanks to Kennet Morris Men for their assistance.